When we’re not on the road for my intuitive consulting and teaching practice, my partner Christine and I can usually be found starting our day in the hammock with a hot cup of cacao, and our fur baby Nyah (a 110 pound Rhodesian Ridgeback) snoozing right below. We are most at home in nature - whether hiking in the remote valleys of Hawaii, catching the rolling surf breaks along the SoCal coast, or kayaking through the crystal clear waters of Emerald Bay. My life has been divinely guided by several death experiences, wherein I had the rare opportunity to be on the other side of the veil and come back to the same lifetime. In these death experiences, I was immersed in unconditional love that goes beyond words, able to see my worth and importance, experience my love for humanity, remember why I chose to come to Earth to be of service, and why I created the Soul contract I created. I was returned home to the Truth of who and what I am. So, when I think of what inspires my life, the real answer is God-Divine-Intelligence. I am dedicated to expressing as the highest vibration I can in each moment. I choose to BE an invitation to humanity to live free from fear. When fear is released, we can live in alignment with our Soul’s Purpose. We can create a Legacy of Love. We believe Legacy Cacao is the purest and most potent ceremonial-grade sipping chocolate in the world. Each small-batch vintage offers a unique sensory experience, with a complex balance of smooth, earthy tones and warm spices. 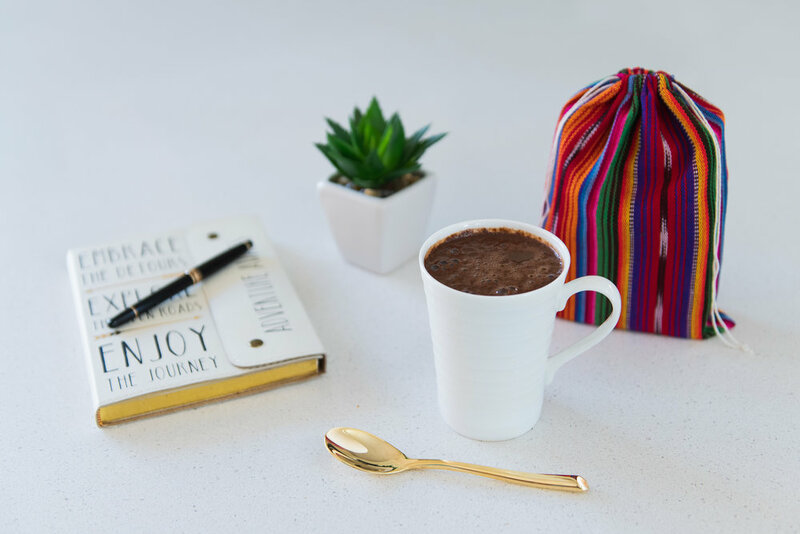 Think ultra-gourmet, dark hot chocolate… that also nourishes your body, helps to open your heart, and reconnect you to yourself, your loved ones and the Earth. With over 700 naturally occurring compounds, including 40-times the antioxidants of blueberries, one of the highest concentrations of magnesium in any single food, more calcium than cow’s milk, and the highest plant-based source of iron, whole-bean cacao is the most nutrient-rich live food on the planet. Research has shown extensive and wide-reaching health benefits from improved brain function and mental clarity to hormone balancing, uplifted and stabilized mood, cardiovascular health, anti-aging… the list goes on. (Really! You can read more here) For those who seek a simple, streamlined nutritional regimen, Legacy Cacao can not only replace breakfast and coffee, but also countless nutritional supplements. 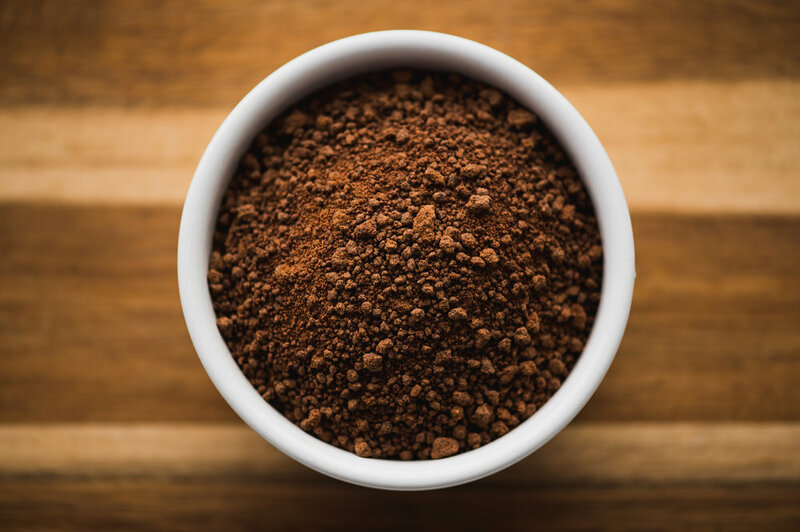 In addition to the health benefits, Legacy Cacao is also an energetically powerful, heart-opening plant medicine that has been perfected by the Mayan Quiche peoples for over 3,000 years. As the cacao begins to work within your body, you’ll often experience a warmth within, a gentle buzz of energy flowing through your body, an improved mental clarity, an openness to greater inspiration and creativity, and an ease in connecting to love. It’s a beautiful compliment to many wellness practices - meditation, yoga, journaling, art, music, healing, even just sharing conversation with a loved one. Simply put, with this daily ritual, you have the opportunity to maximize your health potential while returning to living life as ceremony. After trying ceremonial cacao many times over the years and feeling underwhelmed with their energetic potency, I was a bit skeptical when a friend came to me raving about a special batch of cacao she brought back from Guatemala. But with the first sip, I knew it was different. It felt ALIVE, full of depth and wisdom, and a heart-opening spiritual connection unlike any other cacao plant medicine I had encountered. During meditation I was guided to plan a trip to visit the Priestess who made this special cacao. I wasn’t sure why I was meant to go, but I’ve learned to just trust that instinct and let life unfold according to greater Divine timing. Later I learned that a Mayan legend stated that if protected, their sacred cacao could help to restore peace and unity for our world by opening the hearts of humanity and returning us to our true nature as love. They believed that one day a foreigner would bring their grandmother tree lineage cacao around the world. Upon meeting the Mayan ‘Chocolate’ Priestess in late 2017, she reached out and asked me to be “the one.” From the first sip, I knew this was not just another business venture. This was a part of my destiny, my Soul calling, to help complete their legend. I believe that potency comes from purity. We take every measure possible to ensure maximum nutritional, energetic and flavor potency. Every aspect of the cacao process is protected. 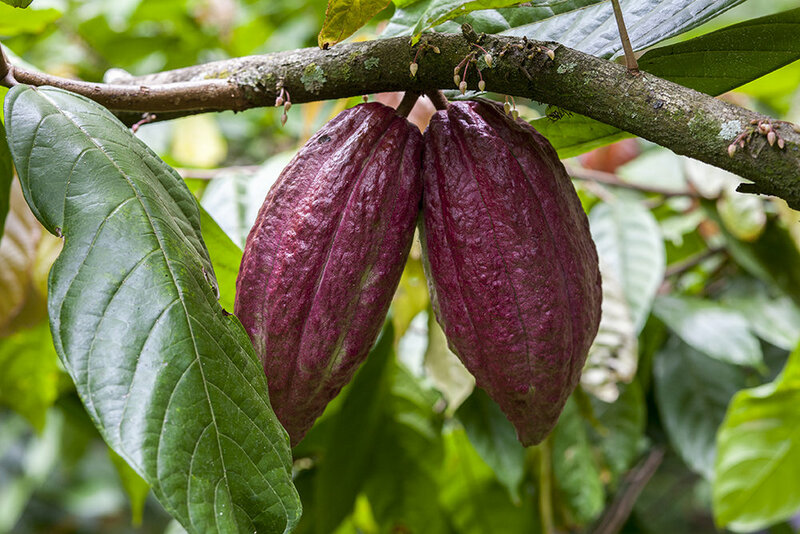 Legacy Cacao comes from descendants of the original grandmother cacao trees domesticated over 3,000 years ago. They have been protected in the remote mountains of Guatemala, preventing cross contamination from GMO crops. The indigenous farming methods continue with symbiotic crop rotation and biodynamic practices that support the rainforest’s natural ecosystem. Our proprietary blend of organic Criollo, whole-bean cacao, vanilla, Mayan spices and panela is in accordance with the original Mayan recipe, held in secrecy and passed down from Priestess to Priestess over generations. 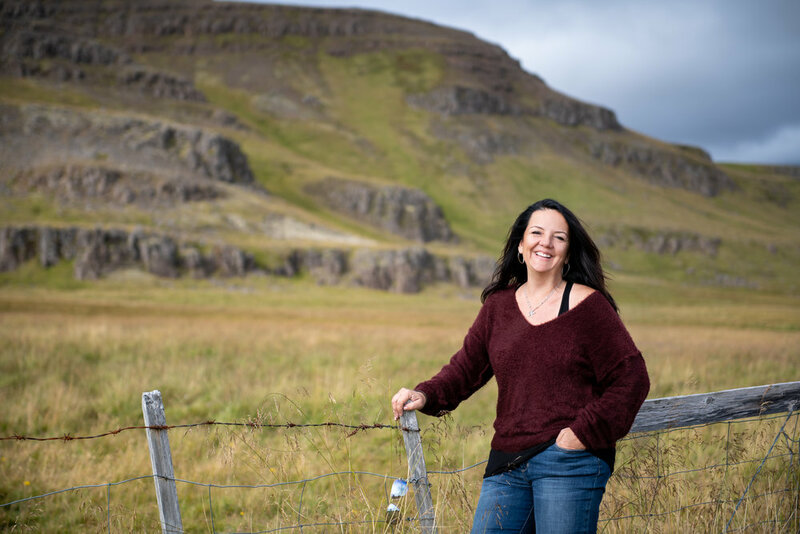 Today, only one living Priestess guards this recipe, and she has chosen Legacy Cacao as the exclusive international partner to bring their cacao around the world. To the Mayan people, LIFE IS CEREMONY. Legacy Cacao is infused with the intentionality and love at every stage of the process. Throughout the farming process, the crops are blessed. They believe only women should handle the cacao during the farming, fermenting, and drying process. 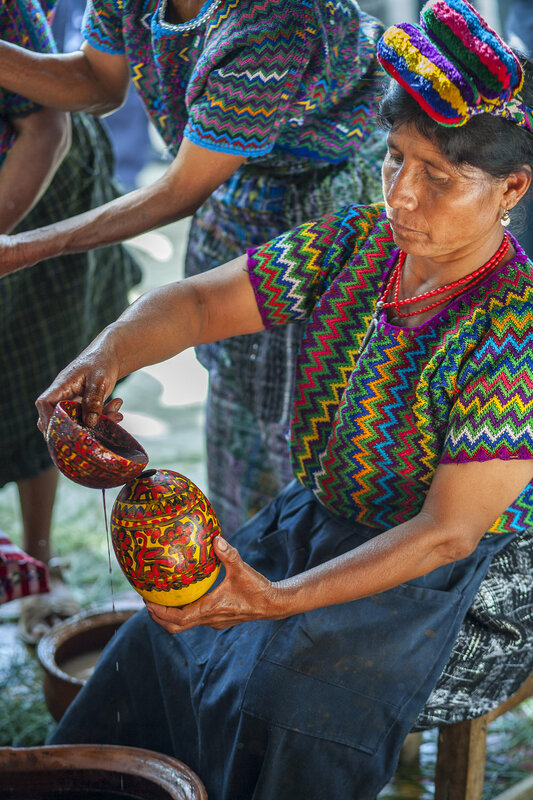 These Guatemalan women are trained to be intentional about the thoughts they hold while touching the cacao. This ensures only the highest vibration goes into the cacao. A multi-generational master roaster uses a traditional in-shell, low-heat roasting process to drive nutrients back into the bean and further develop the flavor profile. To prevent the decrease in frequency and loss of nutrients from high-heat machinery, the whole bean is ground by river stones carved by the stone carver family. The Mayan Priestess then holds ceremony while mixing each batch based on the Mayan energy of that day, infusing it with massive vibrations of love, compassion, service, abundance, and purpose. This sacred blessing results in each batch having its own unique power and magic. You can see which energy batch you’ve received by identifying the stamp on your bag and then visiting our website to match it with the associated Nawales (or Mayan sign) and its meaning. Pure plant magic! As a chosen guardian and amplifier for this royal legacy, I believe it is not a question of increasing margins and scalability. To create more for less would require changing the farming practice, the processing traditions, the ancient recipe, the profit to the indigenous people, the sustainability, and potency of the bean itself. The Mayan Quiche people have mastered cacao over thousands of years. There is nothing to change, but everything to protect. That is why I created a new business paradigm - Fair Profit. As a Fair Profit company, we are committed to bringing you the best products in the world, and paying fair profit in collaboration, respect and honor of the people blessing us with high quality, tradition-rich products. It is not about a hand out, or a hand up. When you are privileged with a product that is the best in the world like Legacy Cacao, then the people who make it deserve the majority of the profit. This is how we ensure the legacy continues. Join our mailing list or follow us online for announcements on live events, festival appearances, Legacy Cacao Unity and Peace Project, retreats, ceremonies, sound healings, and so much more. As a single product company, it’s probably quite obvious which product is my favorite. (It’s the cacao!) And yet, I still have favorites among our batches. One of the most beautiful parts about such a dynamic and complex food like cacao is the subtle differences between vintages - in flavor, aroma and energy. My favorite batch so far this year has been Kawoq. Its deep earthy tones and bold, dark chocolate flavors delight my senses. Energetically, I’m not only connected to it because it is my birth sign on the Mayan calendar, but also because this year’s Kawoq had one of the strongest rooted energies I’ve yet experienced in our cacao. It spoke to me on so many levels. The Kawoq Nawales represents “Unity, Family, and Community.” These values are core to my individual Soul’s Purpose, and core to the mission of Legacy Cacao. We unite ourselves within, so that we can remember our true nature as LOVE. And when we are rooted in LOVE, will can reunite with each other as one tribe, one family, one community on this planet.